Measured as the most powerful and popular operating system for smartphones, Android has caught the attention of numerous people worldwide. Even, there are various developers, who are also impressed with this platform because of its assorted features, functionalities and rich performance. Being a professional android developer, if you are facing a problem while editing the source code on android devices, you must use android code editors that are considered as the best tools for cracking your source code issues. To make your devices like smartphones and tablets run smoothly anywhere and anytime, these tools are popular for writing and testing the source code efficiently. Considered as the most powerful tool for coding, Quoda is a multi language code editor. Being an easy code editing tool, it comes with an exclusive range of features that are required to make coding part a lot simpler. Comprehending your uploading requirements and deliver you a complete solutions, it is the best tool for you. The WebMaster’s HTML Editor is a free lite version tool that has limited code completion support and doesn’t offer preview functionality. Moreover, users can opt for the $4.99 Pro version as well if they want to enjoy more advanced features. If you are looking for free and cheap range of code editing apps, Touchqode is the one that best meet your requirements. It also comes with helping tutorials, FAQs and contact developers’ part. Moreover, the tool uses Google analytics in order to track the program and let you know how to disable the tracking. When it comes to CppDroid tool, it is a simple yet powerful integrated development environment for C and C++ development. This high-end tool brings the GCC compiler to Android. It enables you to code, edit, compile and execute C/C++ programs on your Android device without any effort. 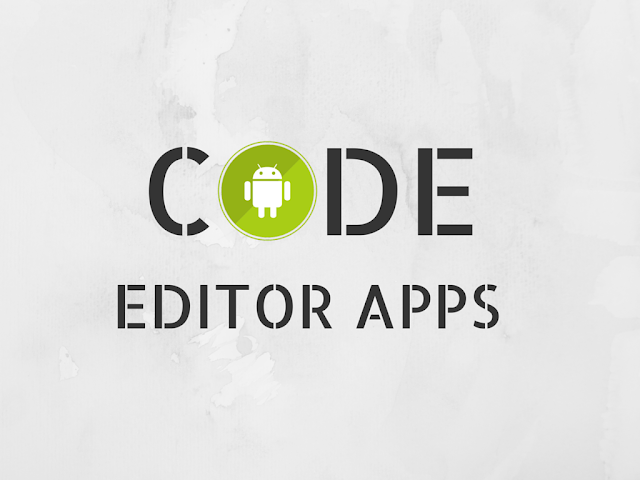 So, these are the top cod editors for android app developers that they need to consider while developing an android app. Shahid Abbasi is a marketing consultant with Peerbits, a one-stop android app development company and the home of app enthusiasts. Shahid likes to be busy with his team, to provide top-notch mobility solutions to enterprises and startups. Follow Peerbits on Facebook.